In order to monitor PV systems reliably, software must be made more and more intelligent. At the same time, special learning procedures are essential for making accurate solar power forecasts. But does machine learning make everything better? Or could the use of self-learning systems pose new, unexpected challenges for us? We at meteocontrol addressed this issue during the “Hackerkiste 2018” event at Augsburg University of Applied Sciences. Our aim: to drive forward research work in a wide range of areas. Build your own dashboards even more quickly thanks to the completely new user interface and add portlets on a portfolio and system level with just a few clicks. The various portlets are listed according to categories and are shown in graphical form. Using the search function, you can find your desired portlet quickly and easily. We provided information regarding the configuration backup for the blue’Log XM / XC in the October edition of the newsletter. Transparency and quality when collecting and storing data in the PV monitoring system are also crucially important. The blue’Log XM / XC therefore provides a good local data pool as a foundation for reliable operation management and data analysis as well as the successful use of artificial intelligence. As part of our ongoing efforts to further develop our product portfolio, we constantly endeavor to take full advantage of the opportunities for improvements in the supply chain. We have therefore decided to discontinue the following product on 31.12.2018. For a binding registration, please send a message: sales@meteocontrol.com. At the 19th Forum Neue Energiewelt in Berlin, Martin Schneider will give a presentation entitled "More innovation through security – using a solar park as an example“. On the basis of an actual project, the Managing Director of meteocontrol will show how digitalization, data intelligence, IT security and gridcodes can be combined to create an innovative product. Effective yield monitoring, reliable grid integration and IT security play an elementary role in ensuring a sustainable, clean energy supply around the world. That is our aim. We are driving it forward – with new ideas and a future-oriented approach! meteocontrol’s participation in the Technology & Trends in Solar Industry 2018 conference in Dubai on October 29 was a complete success. Managing Director Martin Schneider together with Rouven Lenhart, Business Development & International Sales, MENA Region, gave a presentation entitled “PV Monitoring & Solar Power Forecasting”. The complex topic dealing with the importance and interaction of monitoring and solar power forecasts fascinated the organizer and participants in the conference alike. We were also able to strengthen our already close partnership with Dubai-based PowerNSun, the organizer and a B2B e-commerce platform provider for PV components. In the future, PowerNSun will act as an authorized distributor for meteocontrol products in the United Arab Emirates. Costa Rica will become one of the world’s first countries to completely phase out the use of fossil fuels. Alexander Wolf, General Manager of our Central American subsidiary, found this out from the Costa Rican Energy Minister while visiting the country as part of a delegation. A motion regarding the decarbonization of the Costa Rican economy is due to be passed on December 1, 2018. As part of a further delegation, our colleagues Roland Burger, Business Development & International Sales, LATAM & Central America, and Fernando de la Rosa, General Manager of the subsidiary in Chile, traveled to Argentina and Uruguay. 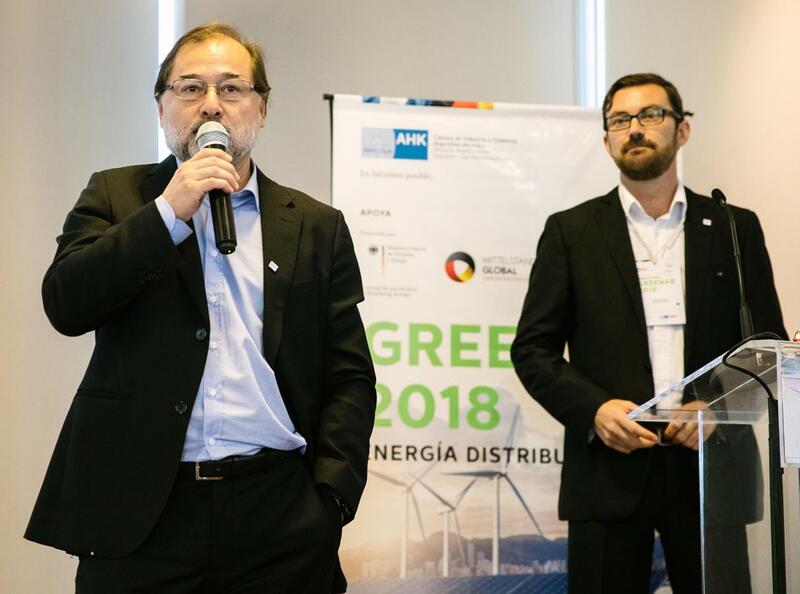 The GreenAR 2018 forum in Buenos Aires marked the start of the trip. 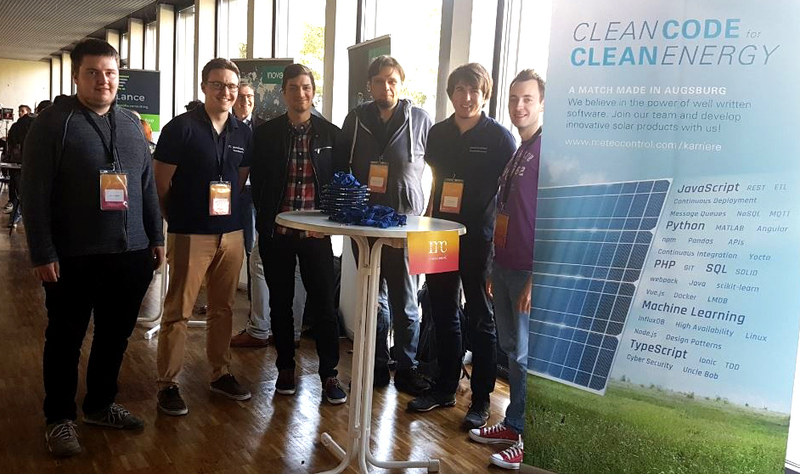 meteocontrol’s presentation entitled “Professional monitoring for securing long-term photovoltaic yields” received enthusiastic feedback from the 160 people taking part. Given the country’s economic problems at the moment, Argentina’s PV market is still in its early days. In contrast, virtually 100 percent of electricity in Uruguay is generated from renewable sources – primarily water and wind power. 230 MWp of installed PV power also contribute here. Our two colleagues met with interested companies and potential customers and were able to impress them with our products and services. “VDE-AR-N 4110 – What will a power plant controller for PV systems need to do in the future?” is an explosive topic. This was demonstrated by our webinar with over 70 interested listeners. Did you miss it? Contact us: sales@meteocontrol.com. We would be happy to send you the documents. We hope to see you there and look forward to talking to you!